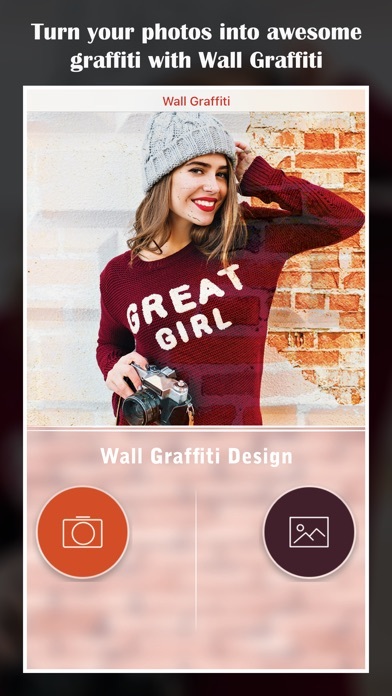 Wall Graffiti Designs app helps to create amazing photo with best hd wall images and make it more memorable photo. 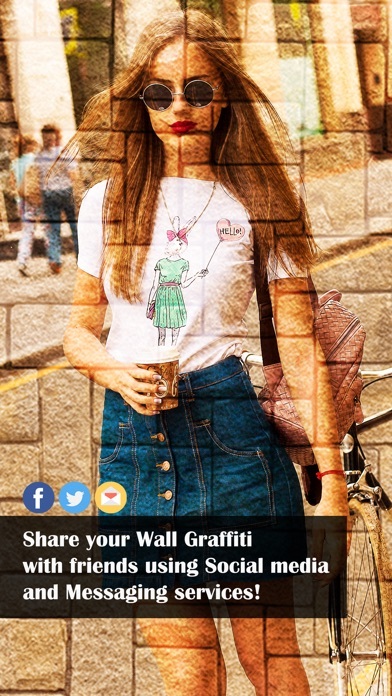 Create your own graffiti artwork using your photos and wall backgrounds. 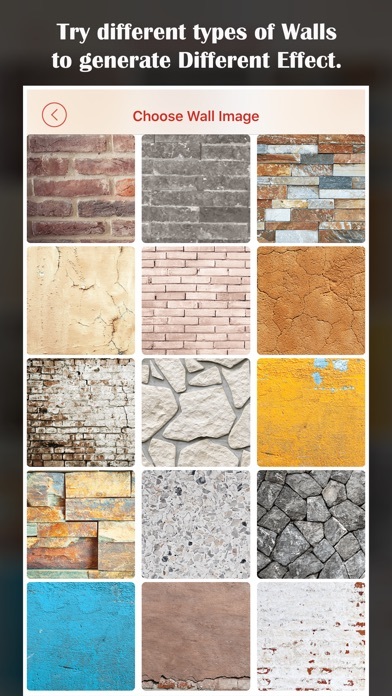 - Select different walls easily (more than 35) to generate different effect. 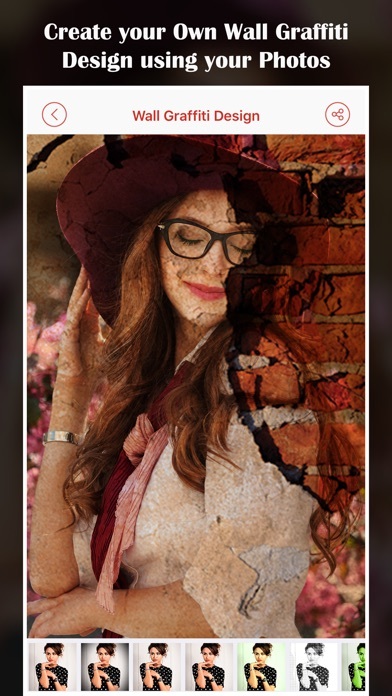 - Apply filter (more than 34) to make image awesome. 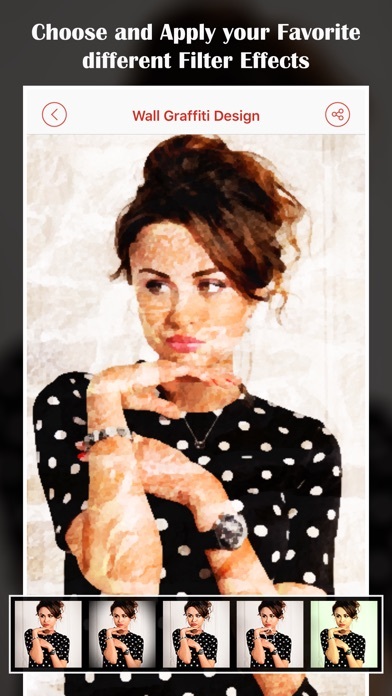 - Save & Share memories to your friends and loved one directly on social network. - Download and enjoy.